I’ve never doubted Japan’s standard of food after hearing so many good feedbacks from my family and friends. So, I made it a point to try different Japanese dishes in the cities I visited. Although I was delighted by Tokyo’s wide selection of local and international restaurants and stuffed myself silly with Osaka’s tasty street food, the city that impressed me the most was Kyoto. While some restaurants in Kyoto drew inspirations from the past, others put their creativity to test and experimented with new flavours. You have to check out these 3 places when you visit Kyoto. I’ve been trying different styles of okonomiyaki in different cities in Japan, and I’ve found my favourite at Issen Yoshoku. 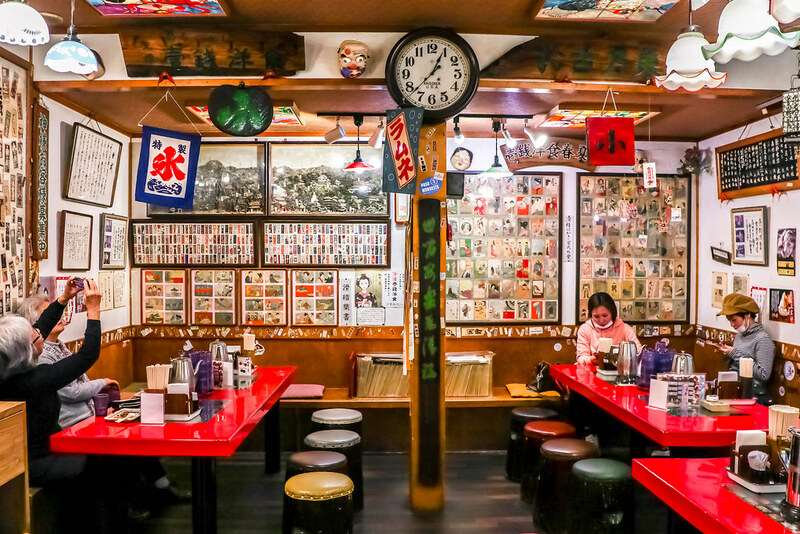 The Japanese-style restaurant looks traditional from the outside, but is a wonderful mess of colours, paintings, and noren (Japanese fabric) inside. I’m not familiar with Japanese history, but the friendly waitress pointed out portraits of 5 ladies dressed in kimono who were famous in Kyoto for their beauty. Don’t be surprised if you only see a one-dish menu. 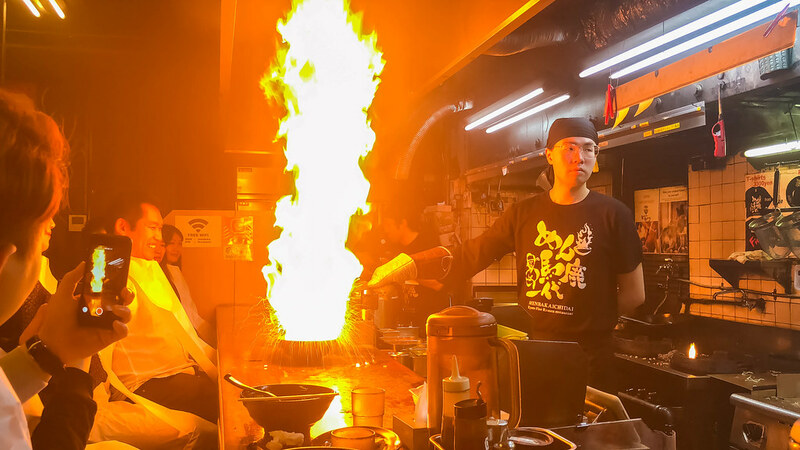 The restaurant specialises in okonomiyaki which contains green onion, eggs, sakura shrimp, bonito, red ginger, Japanese wagyu beef, seasoned konnyaku, grilled fish paste, tempura, flour, Worcester sauce, and seaweed. They also serve a vegetarian version. If you do not want any of the ingredients, just let the waitress know when you’re ordering. 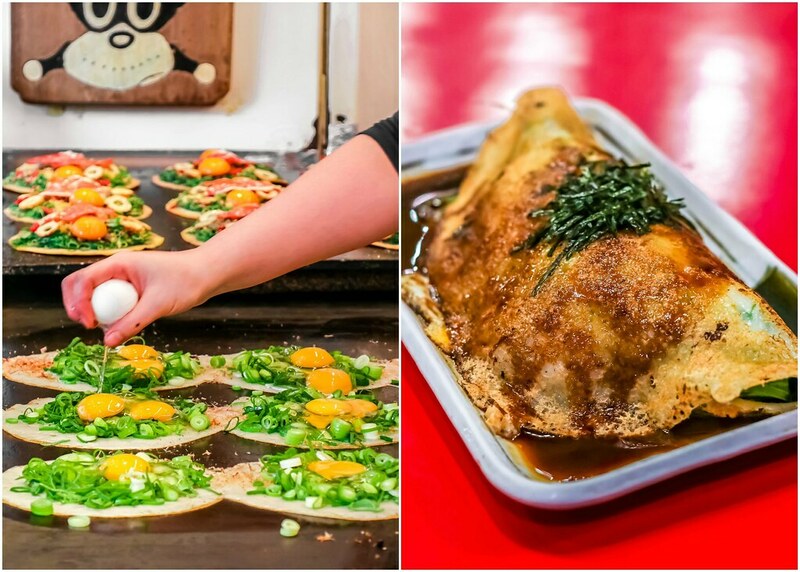 The okonomiyaki is served with a generous amount of ingredients, and you can totally expect an explosion of flavours and textures with every mouthful. Opening Hours: Mon-Sat 11am to 3pm. Sun 10.30am to 10pm. This restaurant used to serve different types of ramen when they first opened in 1984. However, the founder realised that green onion not only emanates good smell, it also enhances good taste. 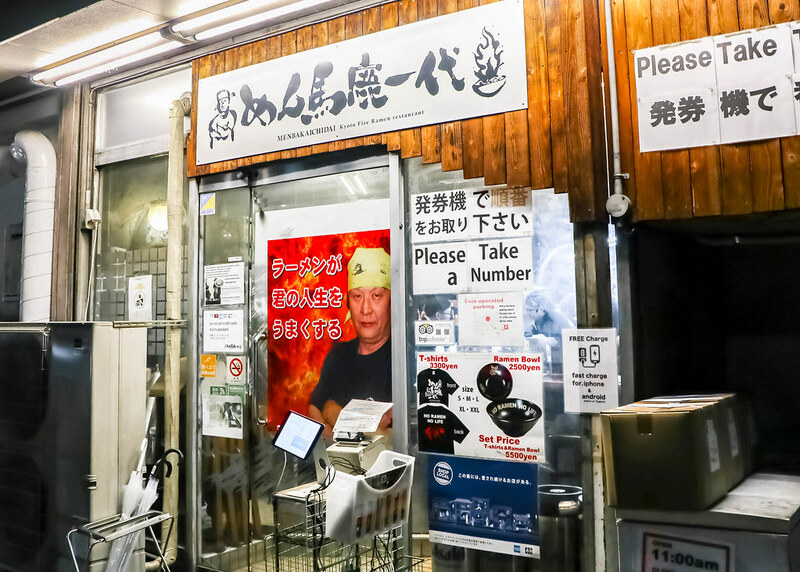 Since then, the Fire Ramen was created, and their menu is also limited to only one dish. 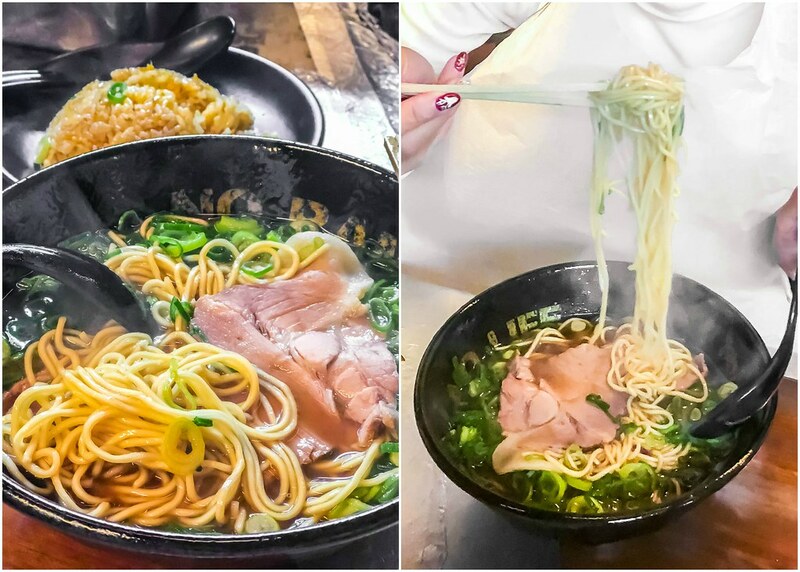 The original taste of shoyu (soy sauce) ramen with the light broth is still distinct, but you can look forward to the ‘fire show’ before slurping down even the last drop of broth. 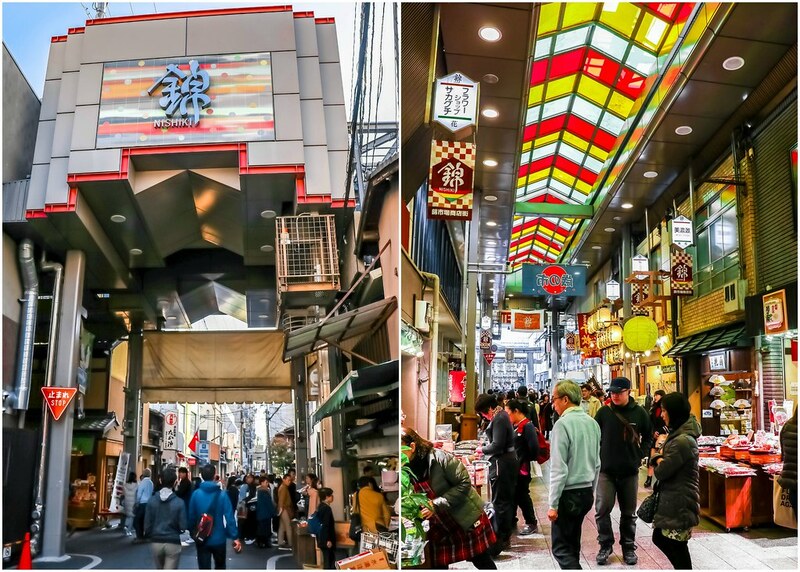 If you’re looking for traditional Japanese food market, Nishiki Market is the place to go. 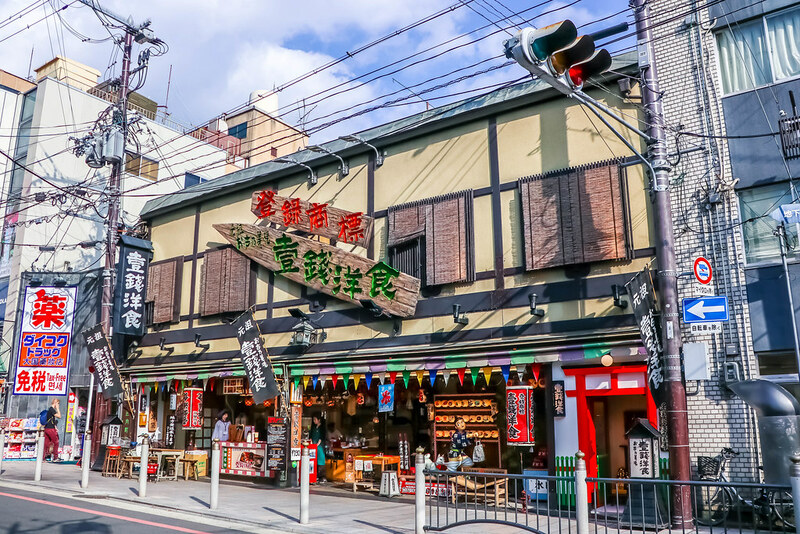 Even though modern restaurants and souvenir shops have moved into the market, walking along the alley of traditional shops still exudes the atmosphere and vibes of the olden days of traditional shotengai (shopping street). 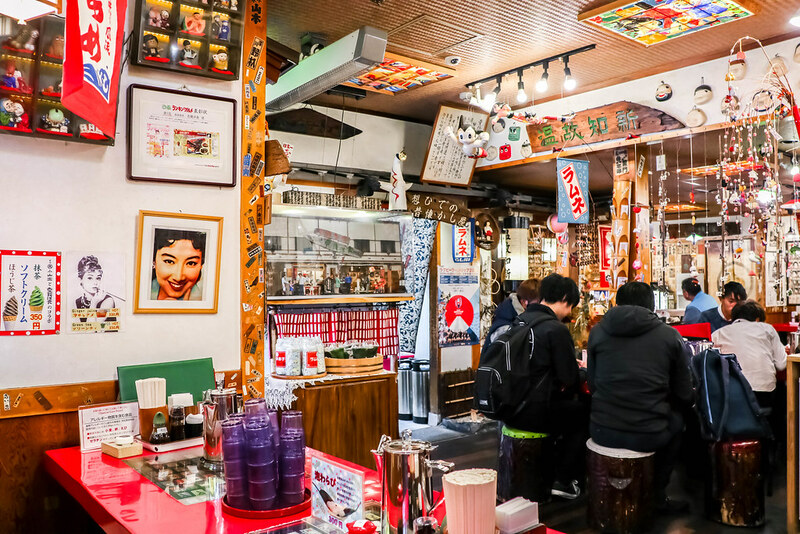 The stalls offer Japanese pickles, tofu, Japanese sweets, tea, and fresh seafood. I had lunch at Nishiki Hirano, which specialises in tempura rice bowl sets. 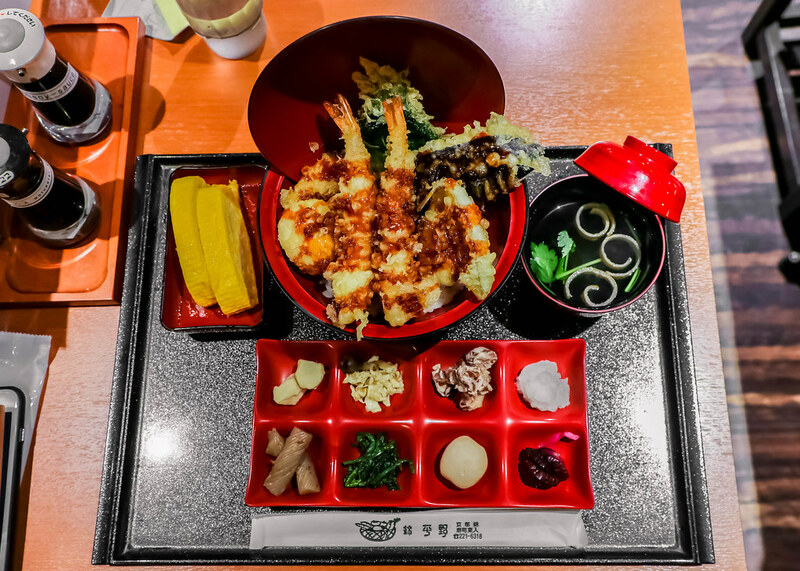 The Special Tempura Rice Bowl set includes shrimp tempura, pumpkin tempura, eggplant tempura, sillago tempura, soft-boiled egg tempura, tempura shiso leaf, and eight different side dishes, served with rolled omelette and a Japanese soup. None of the tempura rice bowls I’ve tried in Singapore can compare to this delicious one found in Nishiki Market. Opening Hours: 9.30am to 5pm daily. Hours vary according to individual stalls, and some close on Wednesday. There are many other local foods that are special to the city of Kyoto, but I didn’t have time or the stomach space to try them. I hope I’ll get an opportunity to travel to Kyoto with my loved ones in future, and hunt down even more good food to share with all of you.